Dirty Electro Synth Loops, Techno / House / Trance Sample from Prime Loops. 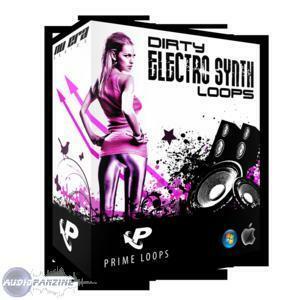 Prime Loops Presents Dirty Electro Synth Loops. 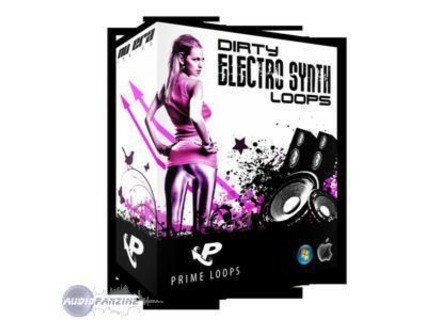 Dirty Electro Synth Loops has been recorded using a combination of vintage analogue synthesizers and cutting edge digital synthesis, compiling sounds of the moment with over 160 DJ-ready Electro House Synth Loops, Bass Loops, Leads and Chord Progressions, all of which are designed to fuse together to provide solid tools for enhanced electro house music production. To download listen to the demo & download free samples visit the Prime Loops Website. For more information, visit their web site at www.primeloops.com. Splurgo New Releases Splurgo Audio announces the release of two new sample packs. New FireStudio Drivers PreSonus has released version 3.3.1 drivers for Windows XP/Vista and Mac OS X for FireStudio Tube and FireStudio Project FireWire recording systems. Sonic Reality Drum Masters Platinum Edition Sonic Reality has announced the imminent release (this month) of the Studio ProFiles "Drum Masters" Silver, Gold and Platinum Editions featuring legendary drummers' kits and grooves.